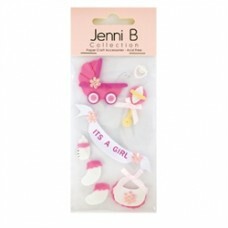 Baby Theme It's A Boy 8pcs Acid Free. Hang-sell pack 170mm H x 70mm W. &..
Garden Theme Flower and Butterfly Mix Pastels 40pcs Acid Free. 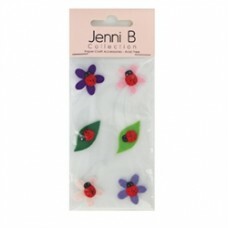 Hang-sell pack 170mm H x 70mm W. &nb..
Garden Theme Lady Bugs 6pcs Acid Free. Hang-sell pack 170mm H x 70mm W. .. Kids Theme School 5pcs Acid Free. Hang-sell pack 170mm H x 70mm W. &nbs.. Acid Free. Hang-sell pack 170mm H x 100mm W. Numbers 0-9 x 1, Letters A,E,I & S x2, B-D, F-H, ..